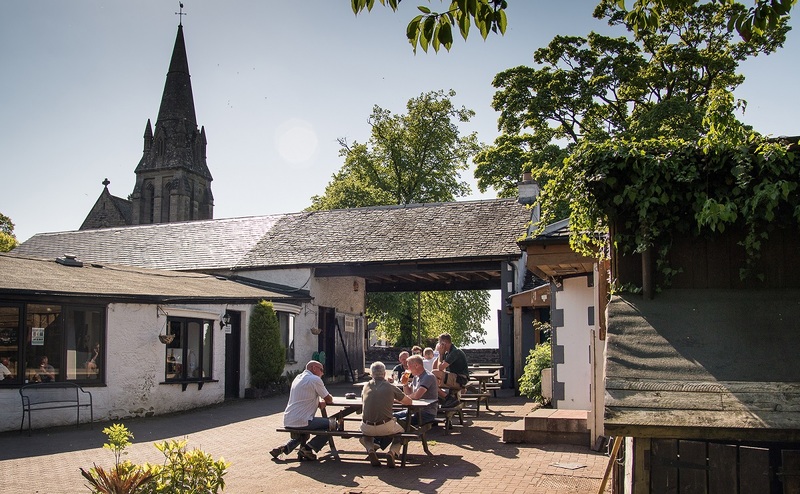 The pub area of this charming 18th Century steading (which underwent an extensive renovation in January 2016) has a cosy, but modern feel with an open fire, board games and shelves of recipe books for those not so lovely Scottish days. It’s a relaxing area perfect for enjoying a drink and a chat. At night the pub has a lively and fun atmosphere with regular appearances from bands and local musicians, comedy acts and a monthly Sunday night quiz! We boast an extensive range of Scottish, British & World gins, bourbon, rye, and vodka, and of course a great selection of Scottish single malts. 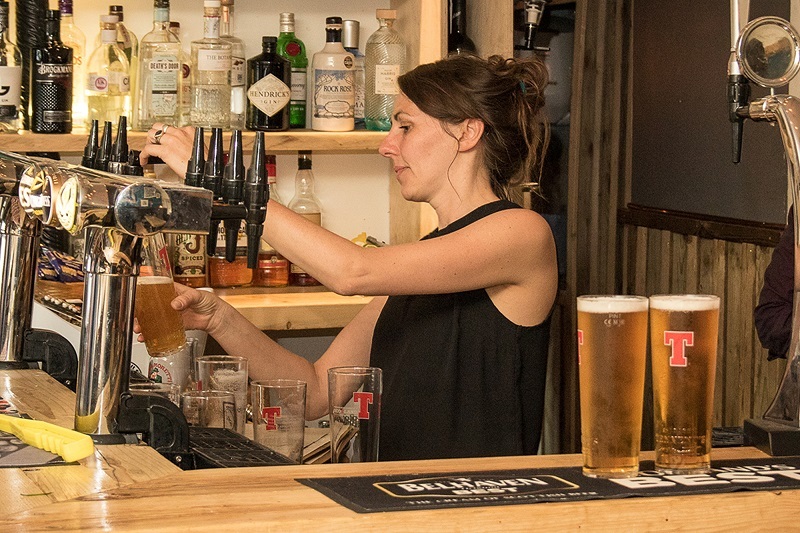 As well as having a large selection off premium lagers and ciders, we also serve guest ales from local brewers including the Houston Brewery, Fallen Brewery, the Loch Lomond Brewery and many more and on tap we always have Black Isle Blonde, Twisted Thistle and Guinness. Our wine list offers an extensive mix of grapes from all over the world! We have a large selection of loose leaf teas and all our staff are barista trained by Brodies of Edinburgh coffee.